For the first time in exactly fifty years Bann Rowing Club have won the prestigeous Craig Cup. This is the Northern Ireland Mens J16 Championship, and has been hotly contested since 1959. Until Friday 19th June 2009, the Craig Cup had only been previously won by grammar schools, but with a magnificent six length win in the final against a powerful, and widely fancied Methody crew, the Bann men swept all the cobwebs of tradition away. It was a moment of great satisfaction for coach Seamus Reynolds who last year had described the Craig Cup regatta as “unfinished business.” Seamus commented that he had only made his final crew selection at the very last training session, and that the efficiency of Bann’s rowing style had enabled this huge win at a stroke rate of 32 strokes per minute for Bann, compared to Methody’s much higher rate of 39 strokes per minute. The Bann rowing technique was described by Bann Club President, and coach of the coaches, “Crafty” Bobbie Platt MBE as the best he had ever seen. He also noted that, with the quality of technical water-training, backing up the winter’s really hard, land -based training, in terms of sheer power, strength and endurance these Bann crews could now compete favourably with any of the much larger clubs. Jeremy Johnston revealed that no less than three of the victorious Bann crew had already achieved sub 8 minute times in the Alan Campbell Diamond Cup Scull ladder, and four of them had raced over the winter in the Richard and Peter Chamber’s Pairs Ladder. 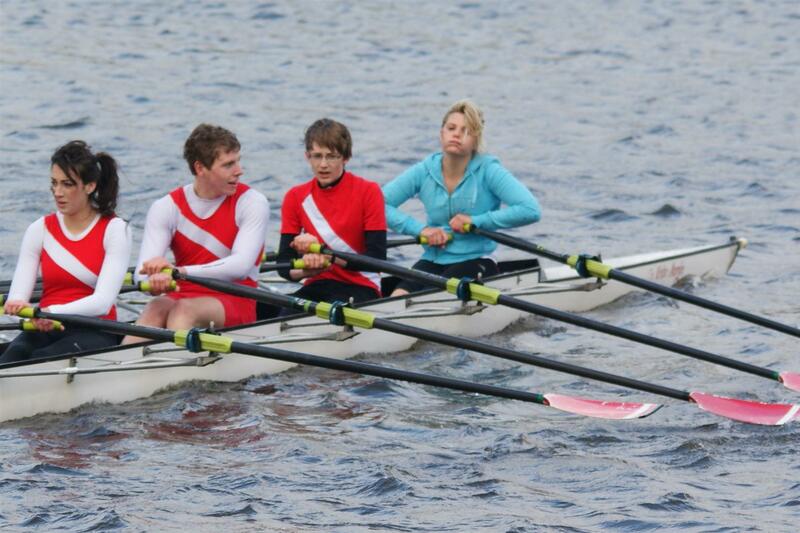 These “small boats” competitions within the Bann Rowing Club were of great benefit to both competitors and coaches. The format of the Craig Cup Championship regatta was most unusual, with all crews initially taking part in a secret time-trial, racing over the two thousand meter course, against the clock, starting at one minute intervals. 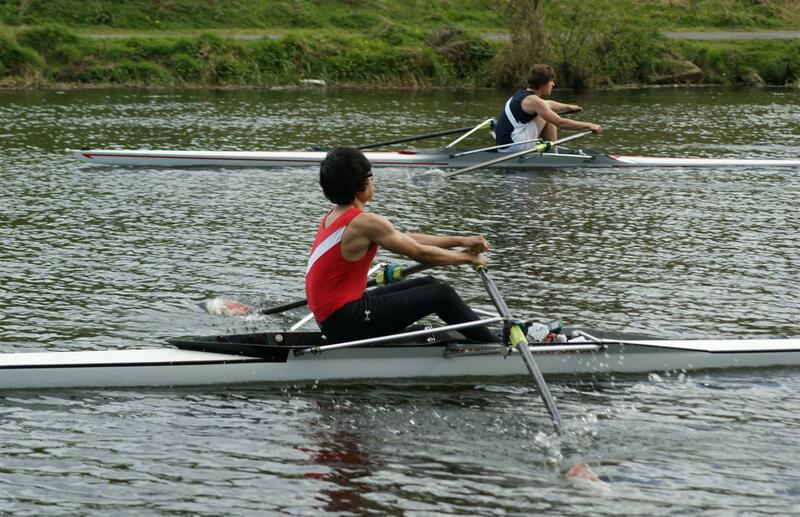 The fastest two crews would be the finalists which was a very fair qualification method. After the time trials the two finalists, Bann and Methody were announced, in alphabetical order, and a sprint race for third and fourth place between Coleraine and Belfast “Insts”, provided a very exciting prelude. This gave both finalist crews, Bann and Methody, a chance for some recovery before their side by side race format final. In the final itself, the execution of the Bann race plan, set by Seamus Reynolds, went perfectly and stroke man ‘Giantkiller’ Chris Kwong, confidentily eased his boat ahead right from the start and then simply rowed away from Methody for the entire race.Every 250m the Bann men saw the gap widening and this enabled them to lengthen out and all eight men in the Bann crew rowed a quite superb race. Chris said they could see and hear the Methody cox calling for 10 and 20 stroke pushes, but Bann coach Seamus Reynolds had told them exactly what to do when this happened. From early on they sensed their superior boatspeed would secure the Cup. With the experienced Julie Campbell at cox steering a precision course, their Methody opponents just melted away. 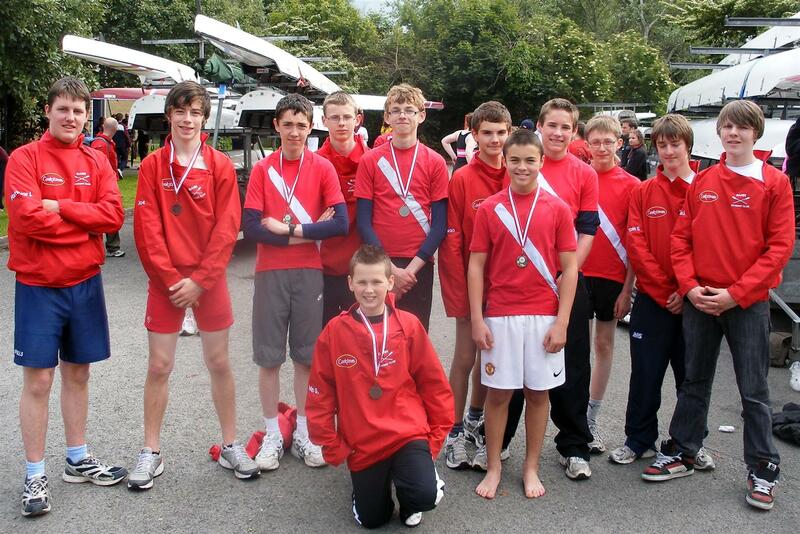 This Bann crew included no less than five members from last years crew, who had competed at Portora, and three newcomers who had all shown great promise, in their first season at Bann. Most of the crew would be eligible to defend the Cup next year at Bann. Talisman “Ace” Ryan Hourican gave up his usual cox’s seat to take over at the opposite end of the boat at bow seat. Having Ryan in the crew gave all his crewmates, and indeed the entire club a great confidence boost. His enthusiasm for the task of winning the Craig Cup for Bann, and his quality bladework made his selection a stroke of genius by coach Seamus Reynolds. Bann Club captain Keith Leighton congratulated Methody on hosting an excellent Northern Ireland Championship regatta, and hoped Bann would not have to wait another fifty years before winning the Craig Cup again. 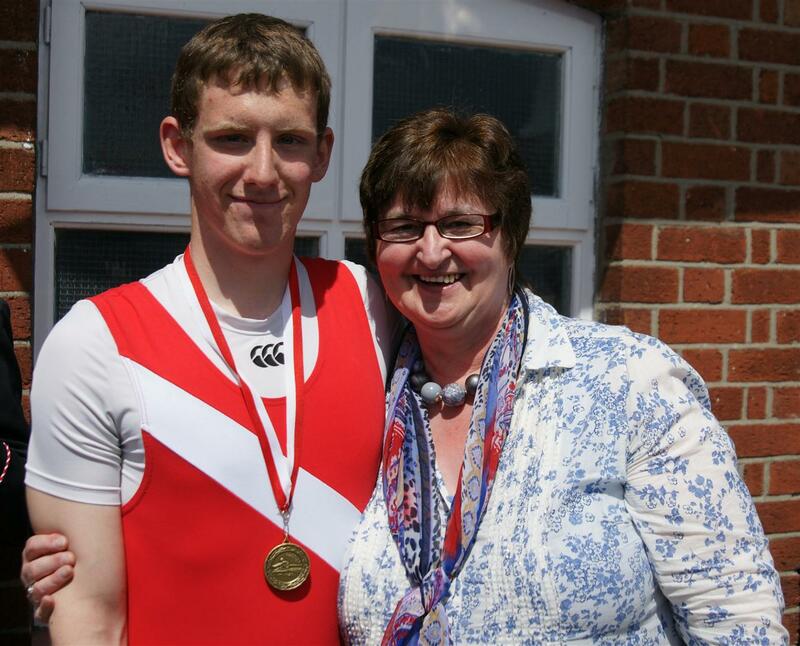 He also thanked all the parents and Bann Rowing Club supporters who had travelled up to Belfast to support the Club, and wished all four Bann crews the very best for the forthcoming Irish Championships in July down at Cork. But in the long history of Bann rowing Club, this first ever victory in the Craig Cup has made the crew and their coach, the next generation of rowing legends at Bann.